What has your dog or cat shredded played with lately? 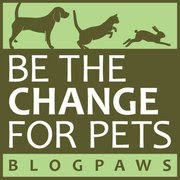 Check out the innocent cutie pie featured on today's BlogPaws Wordless Wednesday post! Meanwhile, back at the Ohio ranch...I really prefer to just play! 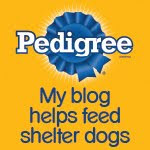 Now off to the BlogPaws Wordless Wednesday Pet Blogger Hop to see what my pals have destroyed are playing with! They are remarkably gentle with toys. Mostly a few holes poked here and there. However, let them near tissue or paper towels when the parents aren't around and that must die. Neither doodle destroy's the toys. Jax plays more than Harley. I are pretty gentle wif my toys nowadays. You are very lucky to have a man cave. R wants one so he can gnaw on sneakers in secret! I bet you have a bunch of things hidden away in your man cave. Pip had a man cave, too. A couple of times my assistant couldn't find her glasses (which she can't see without). Guess, where they were ...with Pip in his man cave. Under Parental Unit's bed is the perfect man cave for me. She finds lots of her missing items there..If only she could find Bella the cat's hiding place!